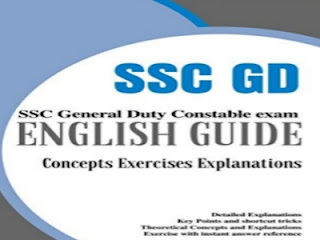 SSC GD & Constable Exam PDF Book is provided here. Recently SSC releases their notice recruitment for Constable & GD 2018. Many Students start preparation for this Exam. So we help you with some good materials book for preparation. Most of the students waiting for this exam, mainly who are love job in Defence line. Today GK Solve share a good quality book for SSC GD Examination 2018. In this pdf, you can get all English subject preparation, question, answer notes etc. This pdf book is very important for all the SSC GD exam 2018 candidates. So all the candidates are requested to download this pdf book as soon as possible and practice daily.